As a 2 stroke power comes from the crankcase, 2 stroke oil must be mixed with the gasoline for lubrication. This means oil is also burnt which increases the exhaust emissions, thus 2 stroke oil requiring completely different oil to 4 stroke outboard oil. The best 2 stroke outboard oil is Pennzoil Premium Plus, which is designed to keep your engine running clean and mixes easily with fuel for premix. The 2 stroke outboard differs from the 4 stroke outboard as there is only two movements, which are up and down instead of four. The 2 stroke engine produces its power with two movements of the piston during one crankshaft revolution. A four stroke engine requires four movements in order to produce power. 2 stroke oil is designed to be mixed with the oil and burn, therefore its not advised to use any other oil such as 4 stroke or motor oil. When buying two stroke oil, ensure that the oil is TC-W3 rated. This is an industry marine standard (NNMA) that certifies the oil provides adequate lubrication and engine protection. You will notice a distinctive TC-W3 logo on the containers of the 2 stroke oil. You will no longer be able to buy a 2 stroke engine from new because of the emissions. Therefore its even more important to use the correct oil in your current two stroke engines to increase the lifespan. Below is a list of the best 2 stroke outboard oil in order to expand the engines lifespan. Pennzoil are a popular 2 stroke oil brand in the boating community for good reason. Their “Premium Plus” synthetic blend formula provides additional engine protection and ensure that your outboard motor runs clean. The marine 2 stroke oil is compatible with the majority of outboard brands such as Johnson, Evinrude, Mercury Marine, Yamaha, Suzuki, Nissan, Force/US Marine, Mariner and Sears. Overall, it is the best 2 stroke outboard oil that can be used within a range of outboards and is great for reduces smoke on startup. Even though it is a premium oil, it still provides excellent value for money. Royal Purple are known for their performance oils and their 2 stroke version is the most popular. An increase of horsepower and fuel economy are just some of the benefits but more importantly this oil reduces heat, emissions and wear of the engine. The synthetic solvency has been designed to keep the exhaust ports and spark plugs clean as well as increasing the films strength for max protection. This oil is also usable within other two stroke engines such as a lawnmower or motor cross bike, which is good to know for any leftovers. If you are after a performance related 2 stroke oil, the Royal Purple synthetic oil should be in your shopping cart. Quicksilver’s marine oil has a superior lubrication formula that claims to be the cleanest burning oil on the market. The Quicksilver 27Q01 oil provides warranty protection for Mercury, Mariner, Force and Sport Jet and M2 Jet Drive 2-cycle engines for your peace of mind. The advanced 2 stroke synthetic formula has been designed to for high power outboards. Therefore the higher concentration of additives provide the additional lubrication and solvency to ensure optimum running on all 2 stroke engines. Evinrude are a premium outboard brand and their outboard oil is one of the best available. The XD50 Synthetic formula provides added protection against friction of the piston against the cylinder wall. The additional detergent in the oil is used aid the removal of the combustion deposits of a two stroke engine. The Evinrude Johnson claims to burn cleaner than other competitors thus providing a smokeless, ashless and odorless engine. If you are looking to reduce the smoke of your two stroke engine, the XD100 solves this problem. Yamalube is the 2 stroke outboard oil produced by Yamaha themselves that meet the TC-W3 specification. With performance in mind, Yamaha include additional additives to increase throttle response and overall performance. For those running Yamaha outboards, using this oil will significantly reduce excess smoke and increase performance. You also have the peace of mind that you are using a quality OEM oil, which is designed specifically for Yamaha motors. 2 stroke engines are desirable due to there bulletproof design and their responsiveness upon acceleration. Prices of the 2 stroke engines are gradually going up and will continue to do so due to manufacturers no longer producing them. 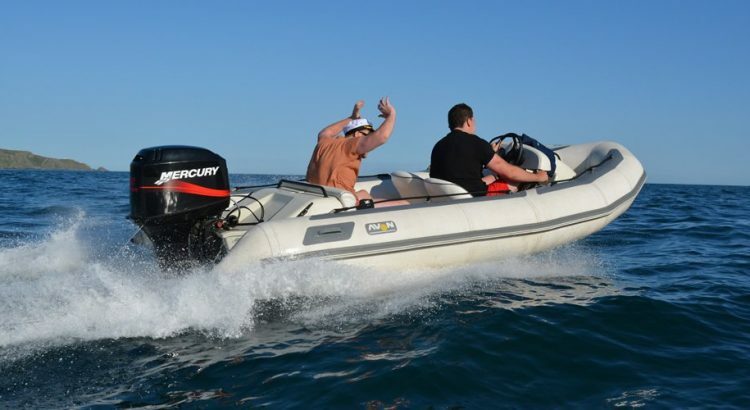 Therefore, it makes sense to take extra precautions in terms of general maintenance of the outboard. You should always be using 2 stroke motor oil in your 2 stroke outboard. This is due to the fact the oil will be burnt inside the combustion chamber when the motor is running. Therefore, depending upon it usage, it will need to be replaced regularly. To help you make an informed decision when you come to purchasing marine 2 stroke oil, we have produced the buying guide below. TCW3 is a unique set of requirements that oil must reach in order to be used in marine outboard motors. This ensures that there is a minimum standard, which will make the outboard run more efficiently and remain lubricated. For further information, take a read of the following thread that discusses TCW3 in much more detail. Synthetic oil has been refined to its best possible form and provides many benefits for 2 stroke outboards. The increase in combustion, extra lubrication and a cleaner engine are just some of the benefits from using synthetic oil. When working on a 2 stroke engine that has been using synthetic oil, you will be able to notice straight away the cleanness of every nut, bolt and piston. The only downside of course is the additional price but it is completely worth the extra. The complex method of production is the main reason for the increased price. Upon starting a two stroke engine from cold, there will often be a cloud of smoke and a distinctive smell. This is nothing to be worried about and is normal of the two stroke boat engine. The smoke is caused from a build up of two stroke oil that has settled upon the bottom of the crankshaft area where the engine was sitting and the fuel has been burnt on combustion. However, the 2 stroke oil recommendations in this article all promise to reduce emissions and reduce the smoke build up. If you feel that there is excess smoke upon startup of your 2 stroke outboard, we strongly recommend changing the oil. The importance of lubrication within a 2 stroke engine is to lubricate the ends of the crankshaft as they move up and down the cylinder walls. The fuel, oil and air mixture then lubricates the cylinder walls with a “film”. This is a big job and is important to have the best 2 stroke oil for your boat to carry this process out. We highly recommend the best 2 stroke outboard oil which is the Pennzoil Premium Plus. Unless you are matching the outboard brand with the brand of oil, the Pennzoil provides great value for money. Its a premium oil that is highly rated globally within the boating world. Hey Glen – That is another great 2 stroke oil by Pennzoil. It is quite similar to Pennzoil Premium, which we rate as the best option.